At Safford Kia of Fredericksburg, we’re proud to offer a wide selection of quality Kia vehicles. From long running favorites to the latest and greatest models, you have access to it all right here at our local dealership. If you’re looking for a new sedan, SUV, compact, or hybrid, our dealership has fantastic options for you! Set up a test drive and take your favorite model for a spin. Are you in the market for a reliable new vehicle? 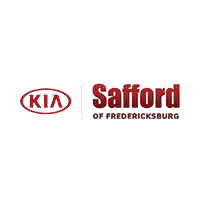 Find the car, truck, or SUV that you’re searching for here at Safford Kia of Fredericksburg. Our professionals go the extra mile to get you into the vehicle that adequately meets your needs. Whether you are a first-time buyer or someone who is looking for an upgrade, we’ve got the right models for you. If you’re on the hunt for a stylish sedan, consider purchasing a Kia Cadenza or a Kia Optima. Is an SUV more your speed? Maybe a Kia Niro or a Kia Sorento is the right fit. Take a look through our new vehicle inventory and take advantage of our New Vehicle Specials once you’re ready to make your purchase. No matter where the open road takes you, you can trust a Kia to get you there safe and sound. If a pre-owned vehicle is what you’re after, we’ve got great options available for you as well. Our dealership offers a variety of used cars to choose from. We also offer an inventory of Certified Pre-Owned Kias, backed by impressive warranties for you to explore. Come by and discover the perfect vehicle for your day to day commute. Don’t forget to Value Your Trade here at our dealership. We’ll offer you top-dollar for the vehicle that you no longer want to keep, based off of its current market value. What a great way to help you save! Get into a new or used vehicle with ease by taking advantage of our financing opportunities. Our professionals are happy to assist you with obtaining a vehicle that you’ll love to drive at a price that fits your budget. Would you like to get a head start on your purchase? Get pre-approved, today. Then, you can shop for the right model, knowing exactly how much you should spend to keep your monthly payments at your desired amount. Contact our Finance Center for any questions or concerns you may have regarding the opportunities available to you. Our dealership is dedicated to helping out even after you drive off the lot. We offer one of the leading destinations for Kia service near Waldorf, providing you with the quality maintenance you need to keep your vehicle in tip-top condition. Our state-of-the-art service center features the latest in diagnostic equipment as well as Kia Certified technicians who are committed to bringing you exceptional service in a timely manner. Is your vehicle in need of an oil change, brake service, or tire replacement? Leave it to us. Does your Kia require an extensive repair service? We’ve got it covered. Our knowledgeable professionals know just what to do to ensure that you drive away satisfied with the quality of your service. To schedule an appointment at our service center, please give us a call at 540-891-7400 or complete a service request form. On the other hand, if you’re the type of vehicle owner who enjoys taking care of your car’s maintenance on your own, our parts department is here for you as well. In our Kia parts department, shoppers find an array of genuine Kia replacement parts and accessories. These parts and accessories have been designed specifically for your Kia model, are meant to fit your vehicle like a missing puzzle piece, and help to preserve the integrity of your car. Whether you’re looking to customize your ride or perform repairs, our parts department has the supplies you need. For more information on all that our dealership has to offer, contact Safford Kia at 540-891-7400 or visit us in person at 5204 Jefferson Davis Hwy, Fredericksburg, VA 22408. We look forward to assisting you.